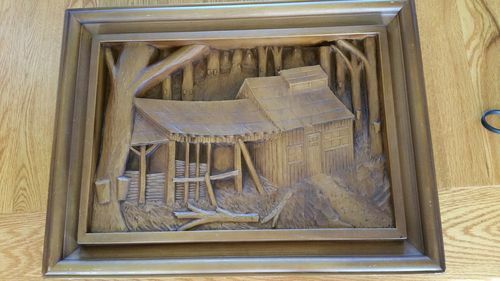 Recently received a relief wood carving of a sugar shack dated 23/1/75. not sure what the artist signature is? 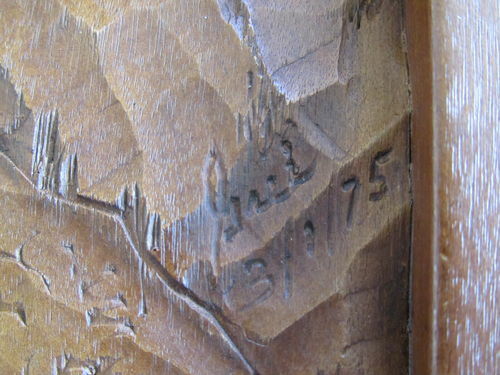 here is a picture of the carving and the artists signature.